The winter is now finally upon us and with it comes the sense of wonder and excitement of the holiday season. In traditional Oriental medicine, winter is a time of accumulation and absorption. It is our opportunity to recharge and be nourished. We can build our reserves up for the coming seasons. Traditionally, exercise was done slower fashion with the emphasis on strengthening and softening the body. Warm food and drinks were consumed, and it was a time to spend at home in the comfort of one’s family and friends. On the mental/ emotional level, winter is a period of contemplation and renewal. It is at this time that we can find our meditative depth and strengthen who we are. It is a time when we access the dark waters and rich, deep currents of life and develop our grand schemes and ideas. It is the Yin time. And yet, as we engage this moment of the year, as we enable its slow, rich process, there forms within us the seed of a new energy. 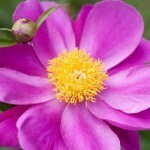 It is the seed of spring and its actions of movement of growth. As with the summer, whereby the seed of winter is formed in its height, the kernel of new life forms from the depths of these coming months. It is interesting to note that the herbs we traditionally use in winter time for strengthening the body are actually based in this notion of movement inside form, or Yang within Yin. Certified in both acupuncture and Chinese herbology, Jonathan Gilbert is a recognized expert in the field of Traditional Chinese Medicine. He has completed extensive post graduate training as well as a traditional apprenticeship. Read more of Mr. Gilbert’s credentials and written works. Blog text is Copyright ©The Gilbert Clinic, Inc., 2014. Excerpts and links are allowed with credit and direction to original content. For full text reprint permission or a medical consultation with Jonathan Gilbert, contact us at (301) 215-4177 or info@thegilbertclinic.com. 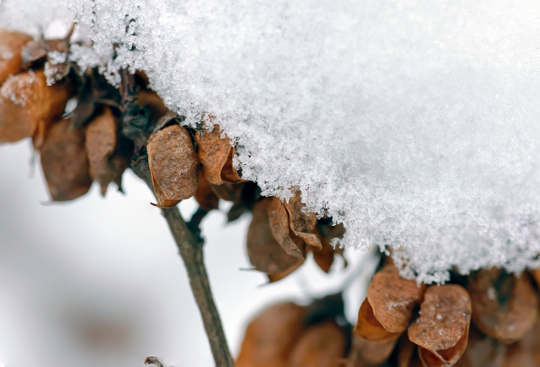 Branch of dangling, snow covered pods ©Maxal Tamor / Adobe Stock. Spring has sprung, time for forging ahead. The seeds of winter months can now be cultivated. 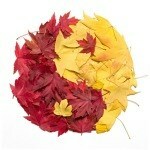 In traditional medicine, the herbs of the spring are Yang within Yang.